Have you always wanted an international ESL school in Kosovo as well? Well, here it is... Welcome to the Canadian International School in Kosovo (CIS Kosovo), the first English as a Second Language (ESL) school in Kosovo working in close and exclusive partnership and cooperation with the Canadian International Studies College (Halifax, NS, Canada). CIS Kosovo officially opened its doors in Kosovo in January 2013 at two different locations - in Gjilan as well as in Prishtine. CIS Kosovo is working intensively to expand its locations throughout Kosovo and beyond. 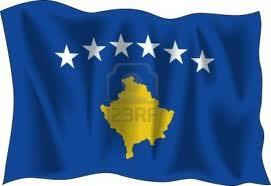 Our current listing of CIS Kosovo affiliated centres in Kosovo can be found on our Contact page. Our school offers ESL courses in accordance with and based on curricula and programs of the highest standards of teaching and learning English as a second or foreign language. We provide our students with an overall learning environment that is both encouraging and inspiring; classrooms that are well equipped; books and learning materials that have proven to be successful in teaching ESL classes; as well as teachers and staff who are well qualified, friendly, dedicated, and professional. 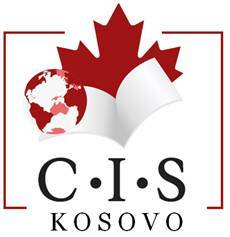 FOR THE FIRST TIME IN KOSOVO: as students of our school, you will earn internationally recognized Certificates of Completion issued jointly with CIS College in Canada. JOIN US - PARTNER WITH CIS KOSOVO! CIS Kosovo is inviting interested individuals to apply to any of our ESL courses. Classes take place at Victory University College in Prishtine (Pejton, Rr. Perandori Justinian Nr. 3). Our fees are competitive: €20 / month (four weeks) for regular courses and €40 / month (four weeks) for intensive courses. After successful completion of each course level, students earn Certificates of Completion issued jointly with CIS College (Canada). Before enrolling in one of our courses, you will undergo an admission test to determine your level of English proficiency and the level at which you should start your ESL classes. Our centre in Prishtina offers a TOEFL Prep Course to help you succeed when sitting for the TOEFL test. The TOEFL Prep Course lasts a total of ten weeks (6 instruction hours per week) and costs €120/month (four weeks). 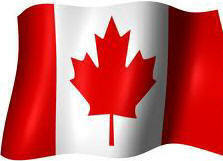 We look forward to welcoming you to the Canadian International School in Kosovo!